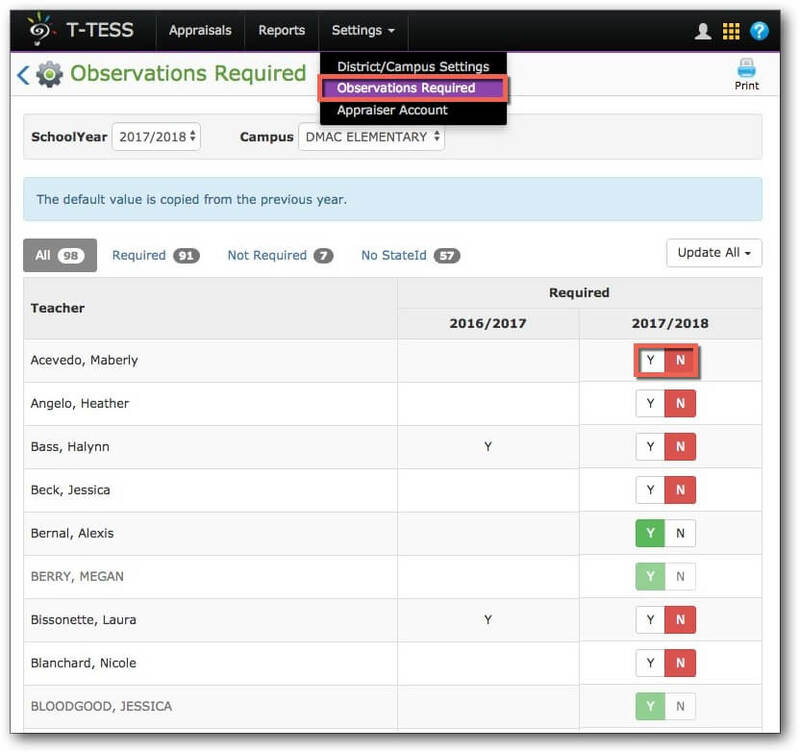 Appraisers have the ability to select if an observation is required in T-TESS for a teacher for the current school year. 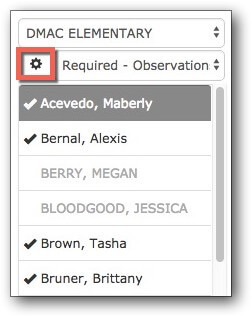 Appraisers can also access the page by clicking on the settings icon above the teacher name list. For more information on the T-TESS application CLICK HERE.